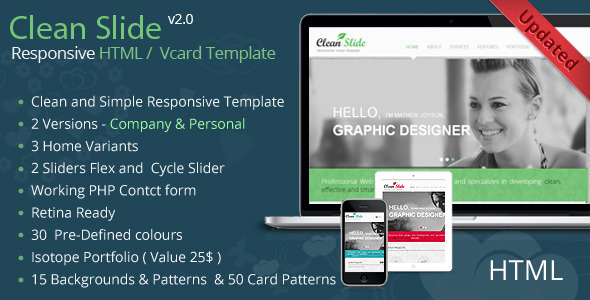 Sharon is a Professional Responsive Vcard | Personal and Portfolio Resume HTML5 Template which has been built using the Twitter Bootstrap 3.0 framework. There are 4 Home variants on this Template. 1.Home Slider verson, 3 types of.Home page styles, The links are as per any general Home, Abour me, My Skills, Education, Work Experience, Portfolio, Blog, Blog Single, shortcodes, Contact us with working php form. With this them using a jQuery lightbox like prettyPhoto would work best. This template would be great for a portfolio or photo gallery.